OCT, 2010 – ROBIN HA brings a fresh approach with a slight Asian flare to some popular Marvel Comics’ characters like Invisible Woman, Dr. Strange and Dazzler. She has an incredibly versatile set of skills in graphic artists, fashion design and comic book illustration. When I saw her website, I immediately thought this woman should be illustrating the next Neil Gaiman project; oh, if only there was more Sandman to pitch. Robin Ha's donation up for bid. Robin’s donation to this year’s charity auction is light and airy giving our Amazon Princess an ethereal faerie presence. 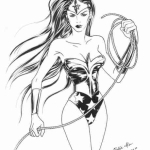 You can place your bid for the Wonder Woman donation by Robin by emailing bids@comicfusion.com from now until Oct 23, 2010 or stop by Comic Fusion in Flemington, NJ. 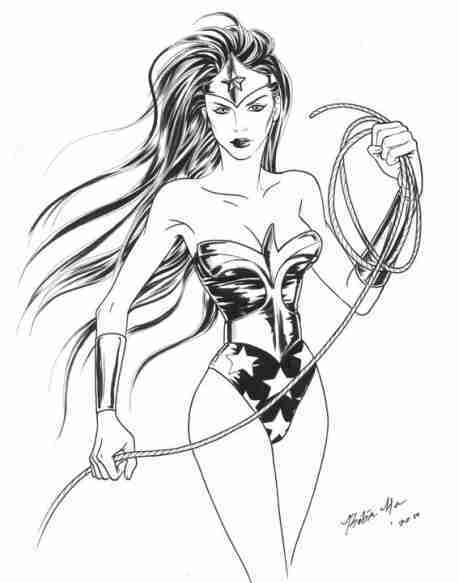 Some characters change their costume design without a stir but when Wonder Woman was reimagined in 2010 by Jim Lee, there was commotion amongst the fanbase. How do you feel about the costume? Is there a point where a character�s image is too ingrained to allow for an acceptable change? I think there’s a trend now to update the old super hero characters to look more like a modern everyday people. Personally, I like the older designs a lot more, super heroes aren’t meant to be like ordinary people and I think the attempt to make them look watered down and blended in to the modern society makes them look boring (like this Wonder Woman) or just plain absurd (like the new Dazzler). There’s nothing wrong with redesigning the characters to keep them more aligned with current era, but so far, I haven’t seen a really good revisions yet. I think the fans wouldn’t have problem accepting the new character designs as long as they are good and true to the nature of the super hero. Your higher education was achieved at the prestigious Fashion Institute of Technology. Do you think it had an advantage over being a Fine Art Major at a traditional university? Actually, I got a Bachelor of Fine Art in illustration at Rhode Island School of Design which is a traditional art college. After I moved to New York, I took a few courses in fine art and fashion at FIT. It was definitely worth it for me to get the education in fine art. The educations I got from RISD and FIT were both good in different ways. RISD taught me to think like an artist and develop my ideas, FIT was more technical and career orientated. How do you think comics are different for this new generation of children as compared to when you were young? The subject and style of the mainstream comics don’t seem that different from old to new. But young kids these days seems more likely to play video games then read comics. My hope is that comics will stand its ground during this turbulent time of new media. Many comics are being released digitally these days which I think is a great move toward the future. Do you think comic book character designs should change with the times or should the �strong man� spandex style stick around forever? I didn’t grow up with American super hero comics. I’ve only recently started reading mainstream American comics and the people in spandex still is a new thing for me to digest. I understand as an artist, men and women in skin tight clothing is a lot easier to draw and it could also attract boys who aren’t old enough to buy porns. But aesthetically, I’m not a fan of primary spandex outfit from the 80’s and would welcome some changes in their outfits. I mean now is a perfect time to re -think these designs, there are celebrities like Lady GaGa, Rhiana..etc who dresses almost like super heros yet fashionable and cutting edge. We have a lot to draw from. What charities/organizations do you support besides Wonder Woman Day? I haven’t really actively searched for organizations to support any causes, but when I find events that helps women in need like this one, I usually get involved in. 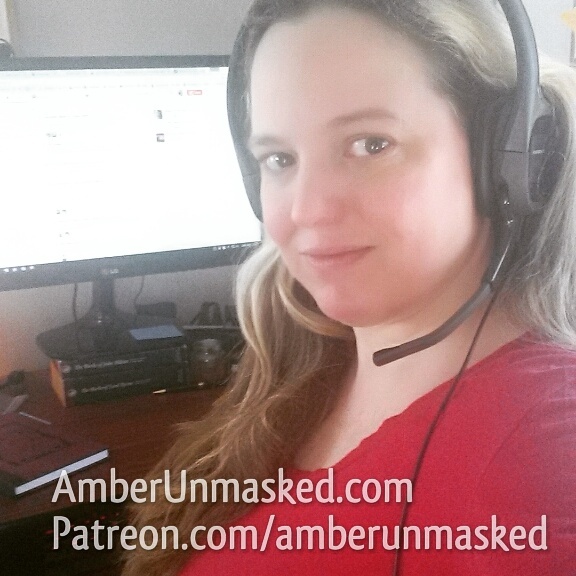 I have a blog robin-ha.blogspot.com where I post upcoming events and reviews and a website�robin.megaten.net.�I’m also a part of drawbridge blog where my studio members post up daily warm up sketches. All proceeds from the auction will benefit SAFE in Hunterdon to raise awareness of domestic violence issues.